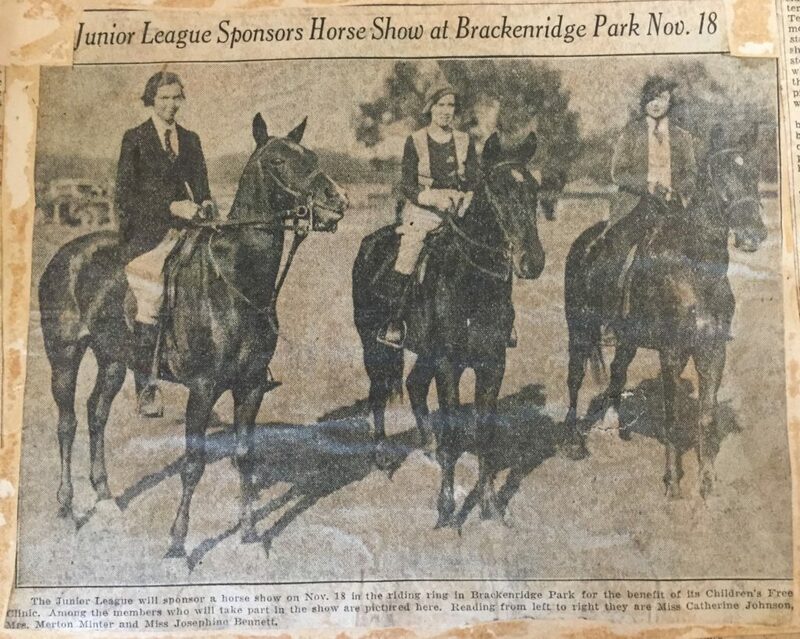 On November 18, 1933, the Junior League of San Antonio sponsored a horse show at Brackenridge Park to benefit the Children’s Free Clinic–a legacy project of the League. 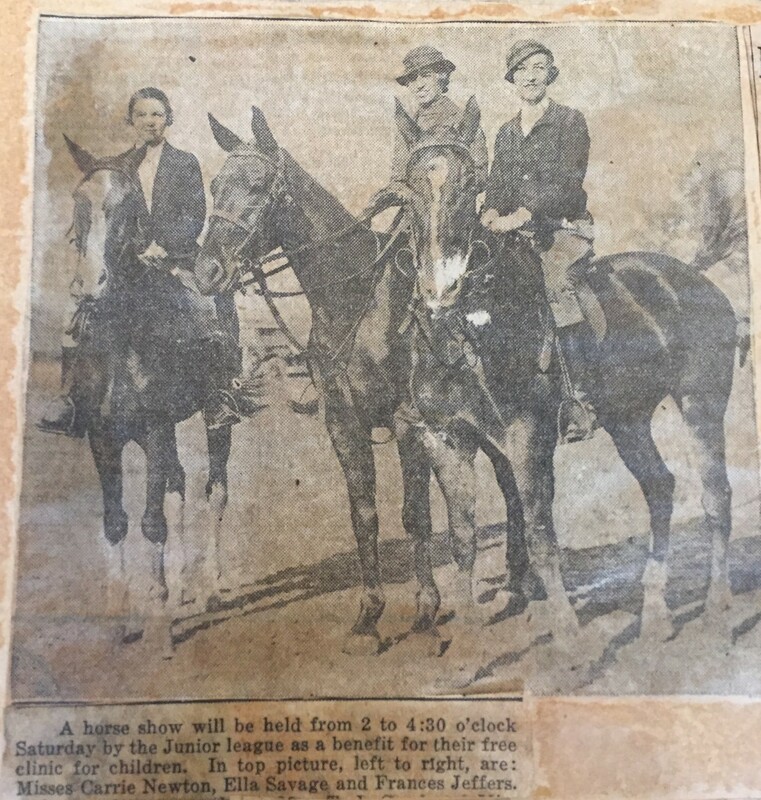 This horse show featured several classes to include three and five-gait, jumping, saddle, driving, and polo. There were even events for children–a class open to boys and girls up to 10 years of age, a youth’s pair class, and a best high school male and female rider. One of the biggest attractions of this event was that Texas polo stars Rube Williams and Cecil Smith were present as judges. 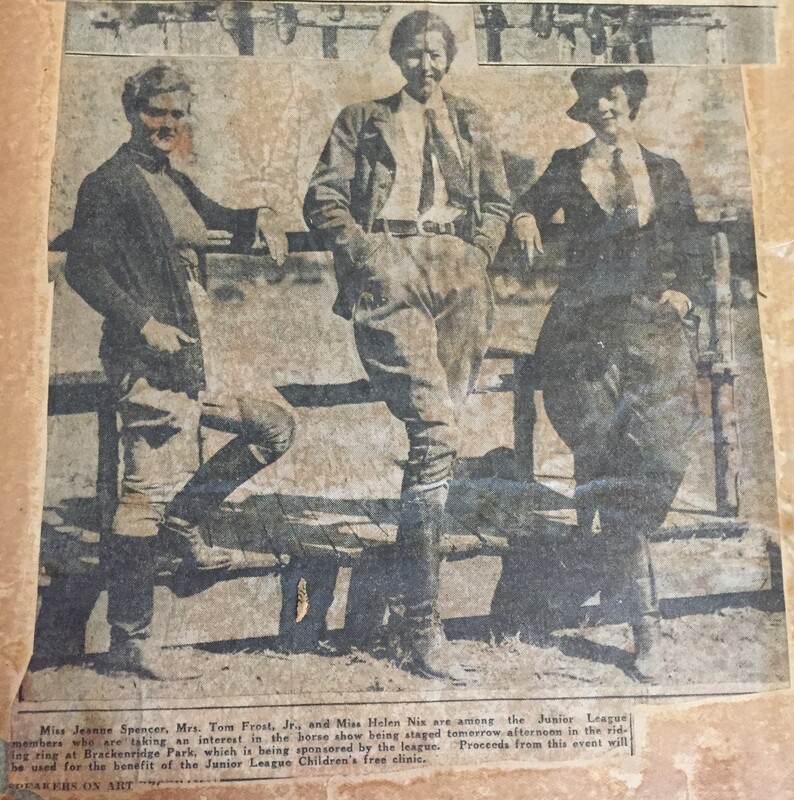 I am sure that JLSA members Mrs. Everett Emerson, Mrs. Charles Schreiner, Mrs. A.N. Champion, Mrs. Gilbert Wright, Mrs. James Chittim, Mrs. Louis Lipscom, Miss Ella Savage, Mrs. Henry Bryant, and Mrs. Edgar Tobin were proud to put on this event as the chairwomen of this committee. What a wonderful way to raise money to support the community and enjoy a nice fall day in San Antonio.